It was your parents who made sure the tooth fairy never forgot you, and took care of all the bumps and bruises of childhood. They were taking the pictures when you graduated from high school, and later when you married. When you gave them grandchildren, you could see them glow with pride. Now, they are aging and unable to live alone. They need your help with some things and you are bringing them to live with you. The challenges are the same whether you assisting one parent or two. 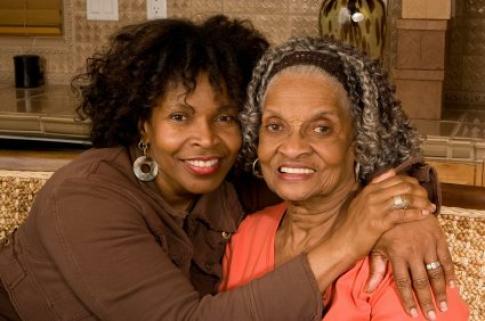 There are emotional and financial challenges associated with care of aging parents. Advance planning is the best way to be prepared, but not always possible. Bringing a parent, or parents, to live with you increases your daily expenses. In some cases, with a parent who has mobility issues, you may have the added expense of home alterations to accommodate their needs. Check with your local Agency on Aging to ask if programs are available offering low-cost home modifications to build ramps, remodel bathrooms, enlarge doorways, and other similar remodeling projects. Medicaid’s Cash and Counseling program is designed to offer assistance to low income elderly, and disabled adults. This provides funds to assist with care-giver payments, the purchase of necessary items to ease their limitations, and to make home safety renovations. They receive a monthly budget to pay these bills. Check your state’s programs for the aging, and look for other agencies that provide financial assistance to the elderly. Free respite care is sometimes available through state assistance, and also through local churches. If your parent has long-term care insurance that provides for in home coverage, the care-giver can often receive payments. These are only a few sources of assistance. Check your state and local agencies for additional services for the aging. Save all receipts for expenses directly related to the care of your parent or parents. You may be able to claim your parent as a deduction on your income tax. Check with your tax preparer for more information. Executing a power of attorney can be an emotionally difficult task to approach. Doing this does not imply your parent or parents are incapable of taking care of their finances. For many parents it is a convenience to have their child deal with these matters. If there is hearing loss, or poor eyesight, it can be very frustrating to use the phone and take care of bills. It is sometimes best to sit down with the parent and a third party who can intervene and explain why it makes sense to let the child take over the financial matters. Often, the parent’s primary care physician can perform this function, particularly in a case where the parent is displaying symptoms of diminished capacity. It is an important decision to bring your aging parents to live in your home, but it can be a wonderful experience if approached with careful financial planning and guidance. It’s also an opportunity to make your parent’s later years pleasant and comfortable. That translates to peace of mind for them and you.